The administration would sell the grid to private entities for $4.9 billion over a decade. There's a lot to dislike about the Trump administration's energy budget, but at the top of the list is the plan to sell off thousands of miles of publicly owned transmission lines managed by the Bonneville Power Administration. 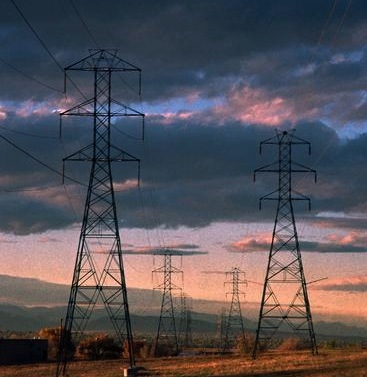 The BPA manages 75 percent of the high-voltage lines in the Northwest, serving 12.5 million residents in Washington, Oregon, Idaho and Montana. The administration would sell the grid to private entities for $4.9 billion over a decade. In return, many Northwest residents would see higher power bills as the private sector maximizes its investment. This isn't the first time an administration has coveted the potential money it could raise from either privatizing BPA or selling the power to the highest bidders, so the entire Northwest delegation should be prepared to fight. The Northwest has built its economy around the relatively inexpensive hydropower generated by dams. BPA is an arm of the U.S. Energy Department, but its operations are self-funded by selling, at cost, the energy generated at 31 dams and one nuclear power plant. The agency is also involved in environmental projects, such as salmon restoration. Selling assets wouldn't be necessary if the Trump administration had put together a realistic budget. Instead, it calls for big increases in spending for defense, infrastructure and immigration enforcement, while not touching entitlements. Plus, it calls for large tax cuts. It doesn't add up, so the administration proposes asset sales and huge cuts to nondefense discretionary spending, or that portion of the federal approved by Congress each year. The budget seeks $3.6 trillion in discretionary spending cuts over the next decade. As a share of the total budget, discretionary spending is already below what it was 50 years ago, and it is dwarfed by defense, entitlement spending (Social Security and Medicare) and interest on the debt. This is the part of the budget that was already hit by the Great Recession. Other cuts to the Energy Department would include research and development into innovations such as carbon capture and better batteries to alleviate demands on fossil fuels and reduce greenhouse emissions. The administration would also sell off half the Strategic Petroleum Reserve, which was created to offset shortages. The stark budget reality remains what it was when President Barack Obama and Congress could not reach a "grand bargain." We need to reform entitlements and boost taxes to lower deficits. Facing up to the challenge would end unrealistic budget proposals. Even if the Trump budget were implemented, the looming entitlements train wreck would remain. A Congressional Budget Office report projects that by 2025, entitlements and interest on the debt would consume all federal revenues that year. Simply put, privatizing the BPA grid would devastate the Northwest economy. And for what? Another budget proposal that isn't grounded in reality.